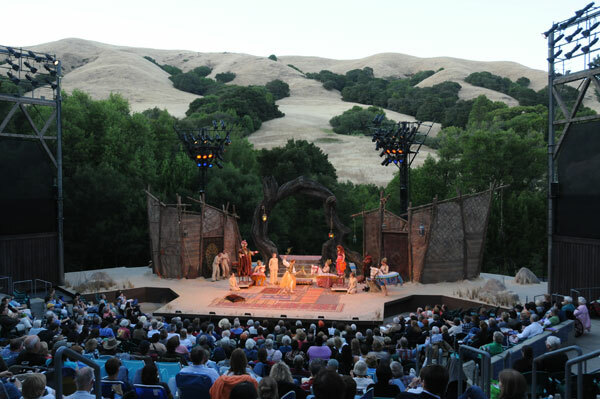 There’s no better way to spend an evening in the Bay Area than at California Shakespeare Theater, affectionately known as “Cal Shakes.” Founded in 1973, Cal Shakes presents both classic and experimental productions of Shakespeare’s plays as well as contemporary works, all in the breathtakingly beautiful Bruns Amphitheater. If you’re heading to the Bruns this summer, here are our tips for a magical evening of theater under the stars! 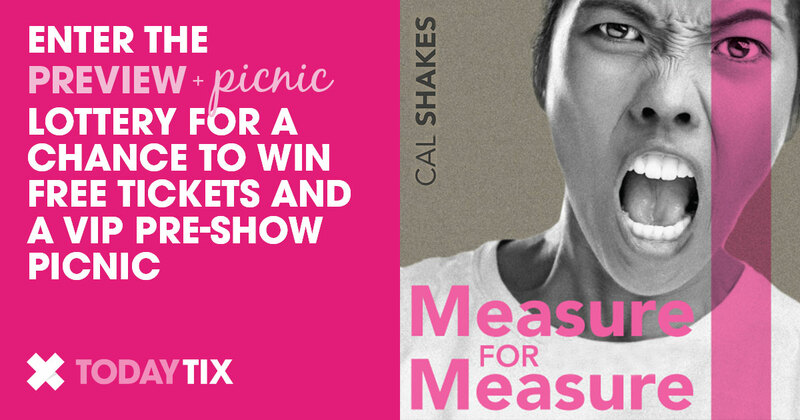 And for a true VIP experience, enter the TodayTix Preview & Picnic Lottery for a chance to win free tickets to Cal Shakes and a pre-show picnic with fellow theatergoers. Step 1: Get there in style. Whether you live downtown or you’re visiting from the suburbs, Cal Shakes is easily accessible by car or public transit! 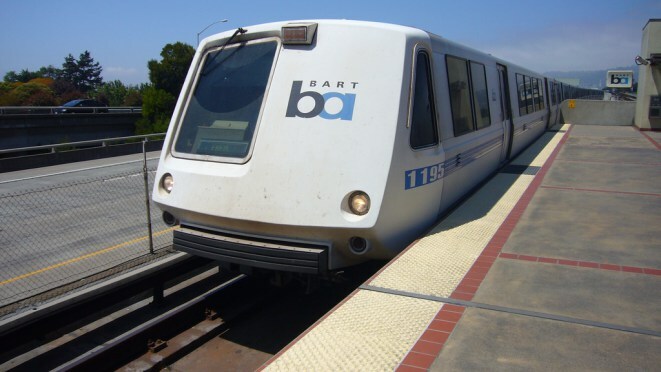 There is ample free parking onsite, and if you don’t feel like driving, you can simply take the BART to Orinda on the Pittsburg / Baypoint line. From there, you’ll find an accessible free shuttle to the festival that loops every 20 minutes. Click here to read the full details and directions. Step 2: Picnic your heart out. The grounds of the Bruns Amphitheater open two hours before curtain, so visitors can relax and picnic in the beautiful groves on premises. 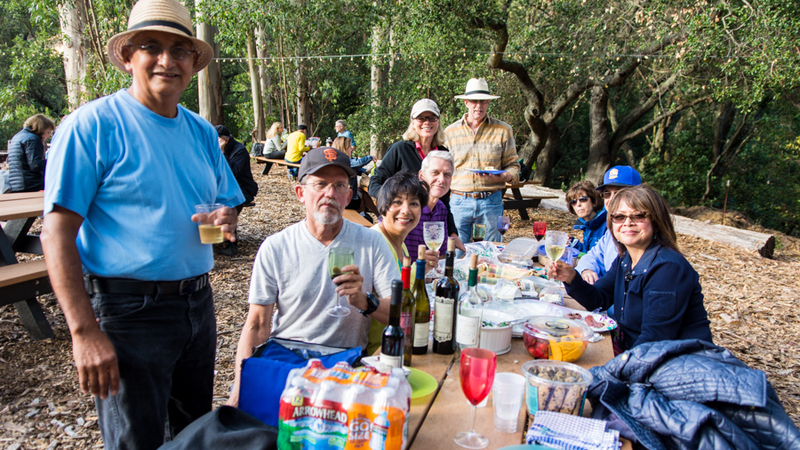 Grab a table shaded by gorgeous Eucalyptus trees and enjoy the setting sun with friends and fellow theatergoers. 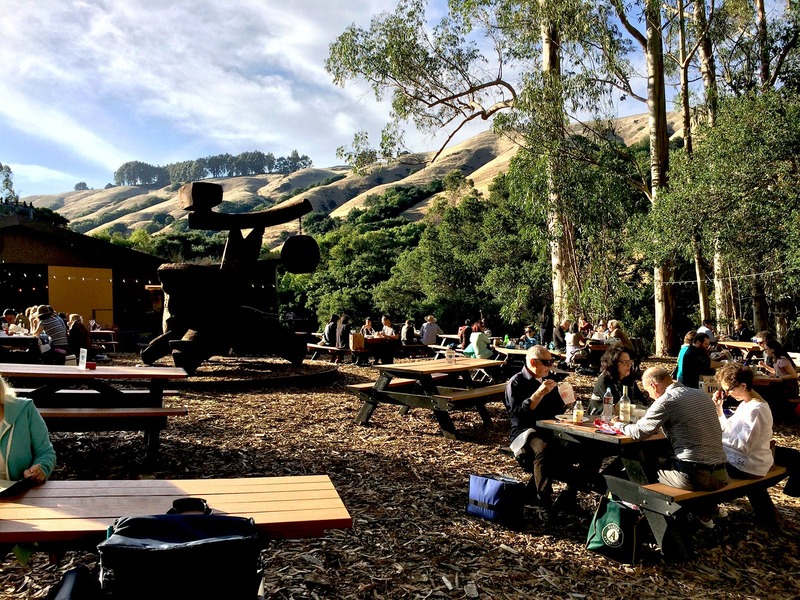 Guests can bring their own picnic goodies (including that classy $4 bottle of wine that’s been sitting in your fridge) or purchase meals at the onsite café. And if you don’t finish your meal by showtime, don’t fret: guests can bring food and drinks into the amphitheater with them. Are you a proud Shakespeare nerd? Want to meet the actors? Cal Shakes offers a myriad of audience enrichment opportunities, ranging from conversations with dramaturgs to casual talkbacks with the cast. Come early (or stay late!) 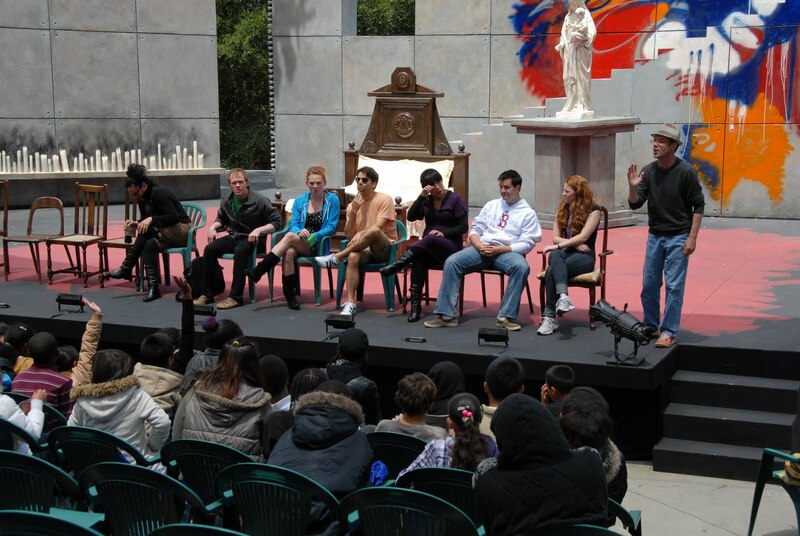 to learn a thing or two from Cal Shakes’ finest and leave with a better understanding of the magic behind Cal Shakes. Step 5: Upgrade your night. Now that you’re prepared for a perfect evening under the stars, don’t forget to enter the TodayTix Preview & Picnic Lottery for the first Thursday preview performances throughout the 2017 Season. Lucky winners will receive free tickets and a VIP pre-show picnic, where they’ll enjoy complimentary food and drinks, mingle with fellow theatergoers, and take home exclusive giveaway items. Sounds like a midsummer night’s dream to us! Have more tips? Let us know on Instagram and Twitter.